Seashore Etched Stemmed Wine Glass Set is the perfect all purpose wine glass at 16 ounce capacity. 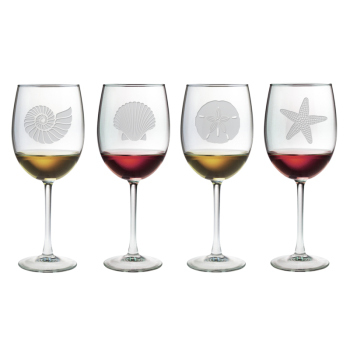 When entertaining at your coastal home impress your company with this designer set of coastal etched wine glasses. Each etched wine glass has a different sea treasure design. 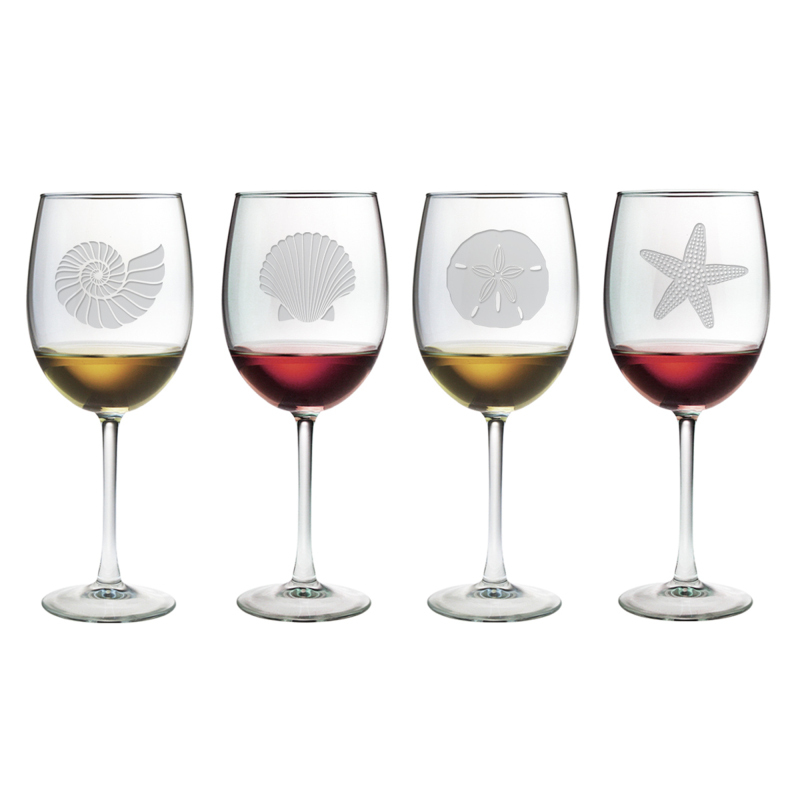 This mixed set of seashore designed glasses replaces the beverage / wine markers for knowing which glass is yours. Seashore All Purpose Stemmed Wine Glass Set of 4, Glass height is 8.75 inches.